The Sufganiyot Collection is a set of Jewish cakes designed and sold in Israel during Channukah. To make people know about them they let Fashion meet cakes, and the result is amazing. I’ve discussed food and fashion here before and there have been a few cool projects that have merged the two creative industries or blurred its lines. Roladin Bakery and Café makes so-called Sufganiyot cakes for each Chanukah which they sell at the café. Well, not just one café. Roladin Bakery and Café is one of the largest chains in Israel with over 40 locations. That explains why they have the budget to pull off a project like this. 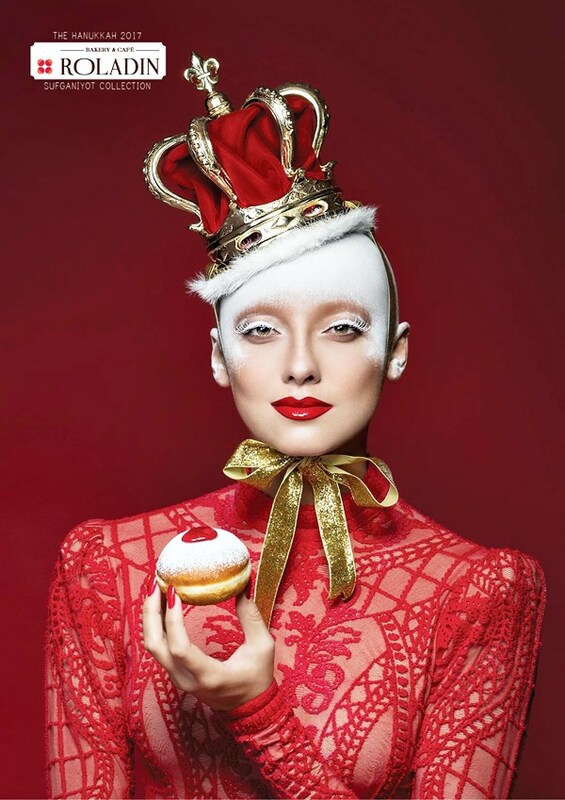 What they did was to create a seasonal range of Sufganiyots, and let fashion meet the sufganiyot cakes in stunning fashion ads. Roladin Bakery and Café made a collection of seven different sufganiyot this season. For each variety, they styled a model to resemble the cake. One ad for each model and cake was created. As you can see the result is stunning. You can see each ad in full below, all the ads were created by M&C Saatchi. In case you don’t know what a sufganiyah is let’s take a few words on that. Sufganiyot is the plural word for Sufganiyah. A sufganiyah is a deep-fried doughnut which is filled with jam or custard and decorated with sugar. The cakes are traditionally eaten at Chanukkah. The tradition of eating these cakes during Channukkah has become a big thing and bakeries in Israel all do their best to be the bakery of choice once its time to pick up some Sufganiyots. With plenty of competition, the bakeries in Israel has become more creative with their sufganiyot. You can find them in all shapes and flavors, many are made with creative toppings and fillings. From what I hear some bakeries even make great ad campaigns with models to attract the customers, how about that?